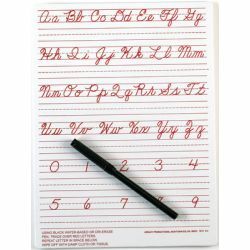 Can be used with wet dry-erase or waterbased markers. One black marker included. 9" x 12".